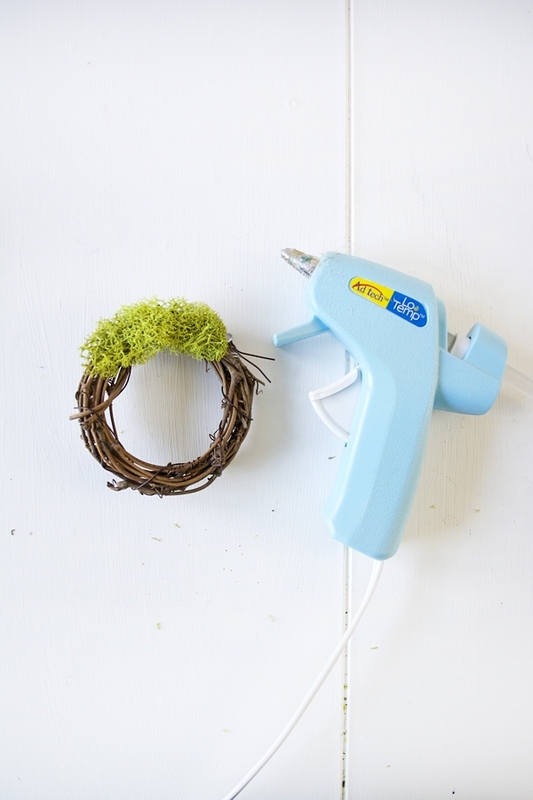 It’s time for another Monthly DIY Challenge! This month our theme was wreaths. I struggled coming up with an idea for this one because I’m really not much of a wreath person. 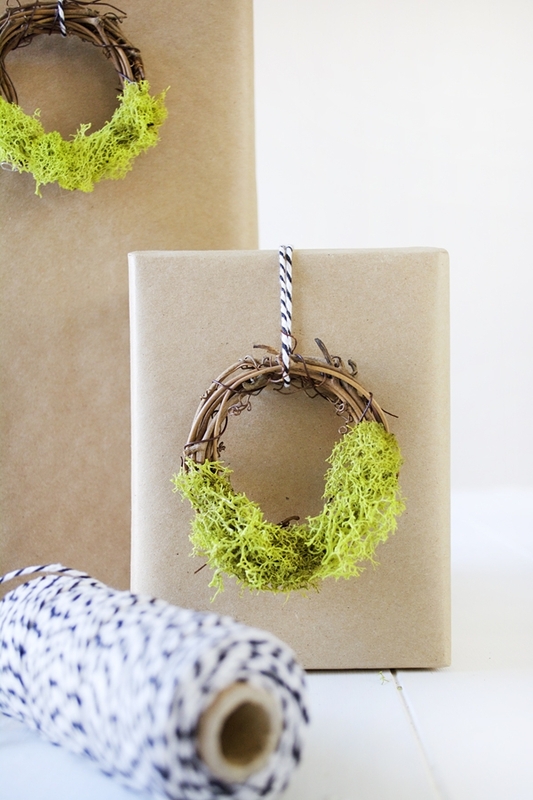 So I went a little outside of the box and made these cute Mini Moss Wreath Gift Toppers. I’ve said it once and I’ll say it again; I love a pretty present. Gift wrap is so fun to play around with and who doesn’t love getting a present that’s just as pretty to look at when it’s still wrapped?! 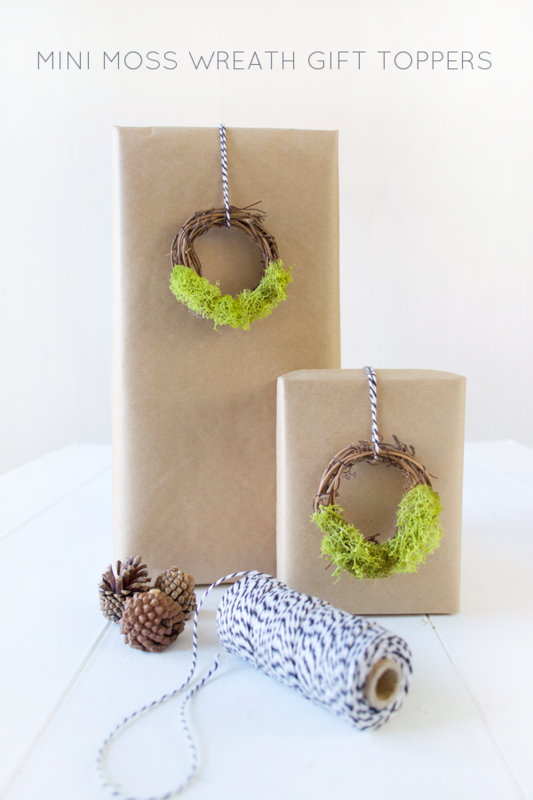 These are so super easy too, which we all need around this time of year. 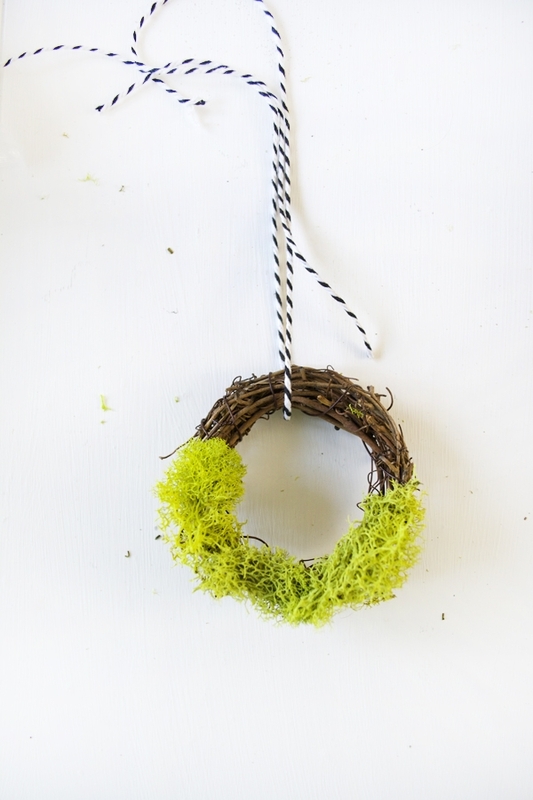 Glue your moss onto your wreath. 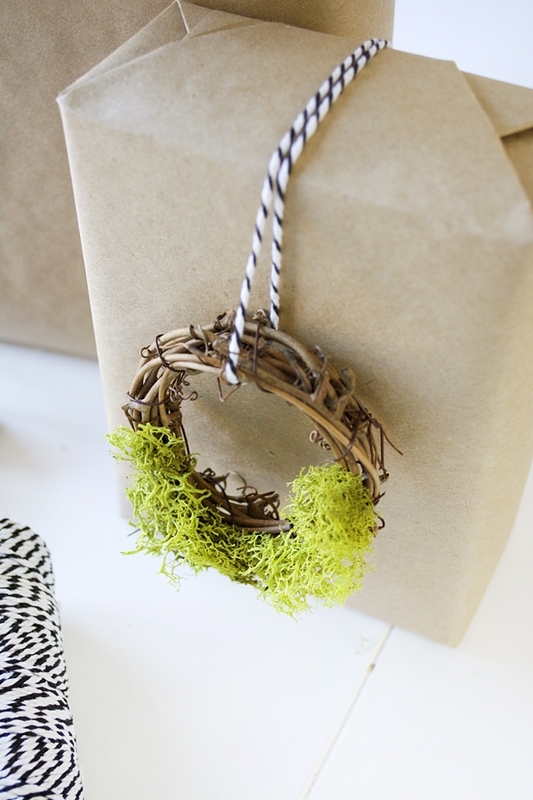 Loop your string around the wreath. Anyone else obsessed with pretty wrapping like me?? 😉 I can’t wait to use these little guys on some of my presents this year! 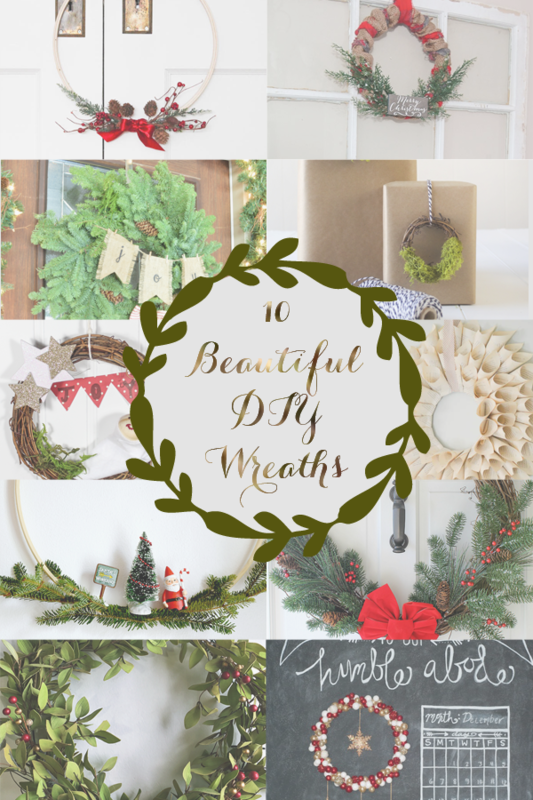 Be sure to check out all the other great wreath projects below! Oh my, these are WAY too cute!! 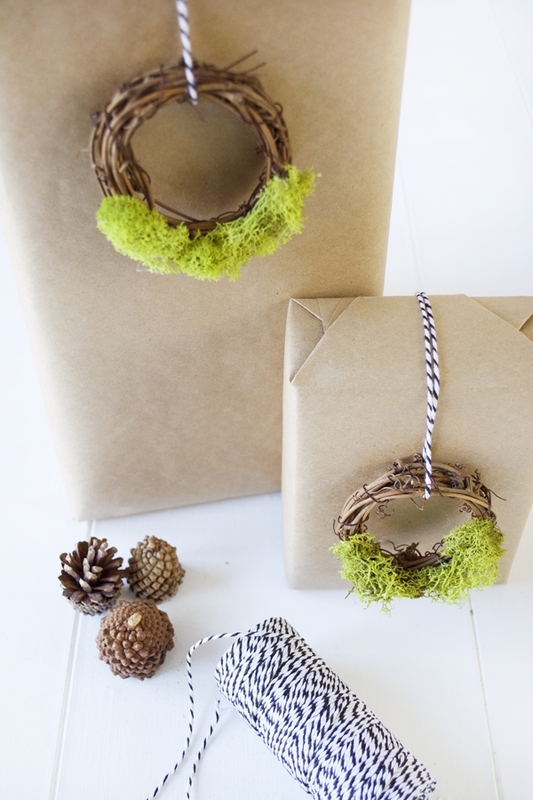 Such a clever idea for wreaths! Oh Bre, these are adorable! 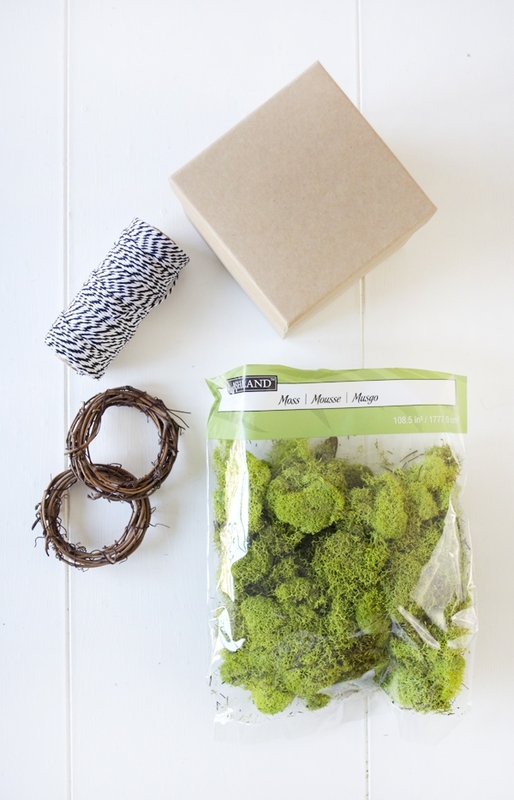 I never would have thought to make little mini wreaths. Such a clever idea! These are so simple, and so stunning! I love that they look really doable and quick to make. These are awesome. Way better than the pre-made bows I stick on my gifts each year! Pretty presents are the best! 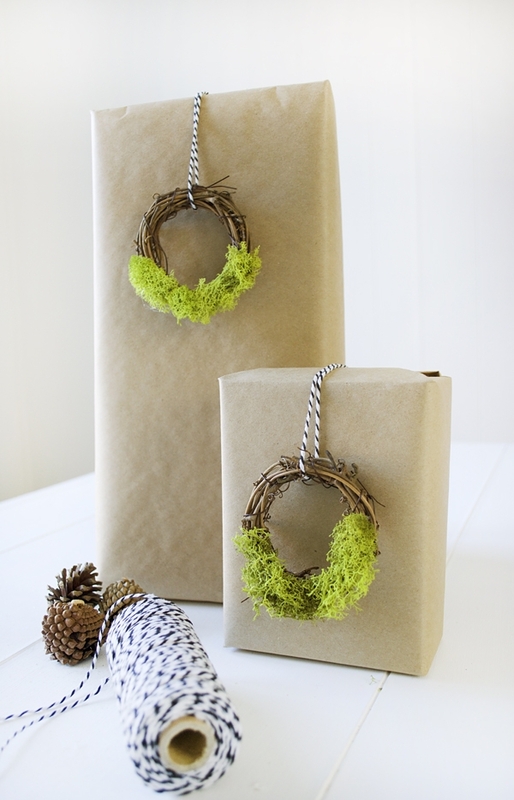 Especially when they start with brown kraft paper like this. Oh my goodness!!! SO, SO sweet Bre! SUCH a cute idea!!! Thanks Kristi!! I love how they turned out!